Steampunk has reignited a love of old fashioned materials that were made to last and have always been a signature of the Kinnaird brand. 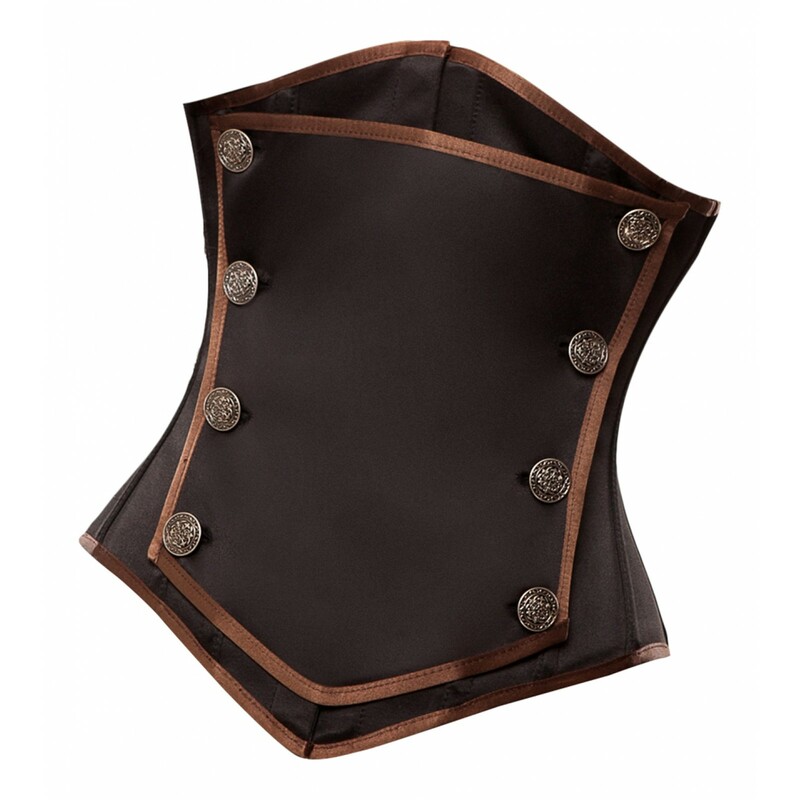 This wonderfully crafted corset takes cues from the steampunk genre with ornate engravings on the antique style brass buttons, that have been used at the front. 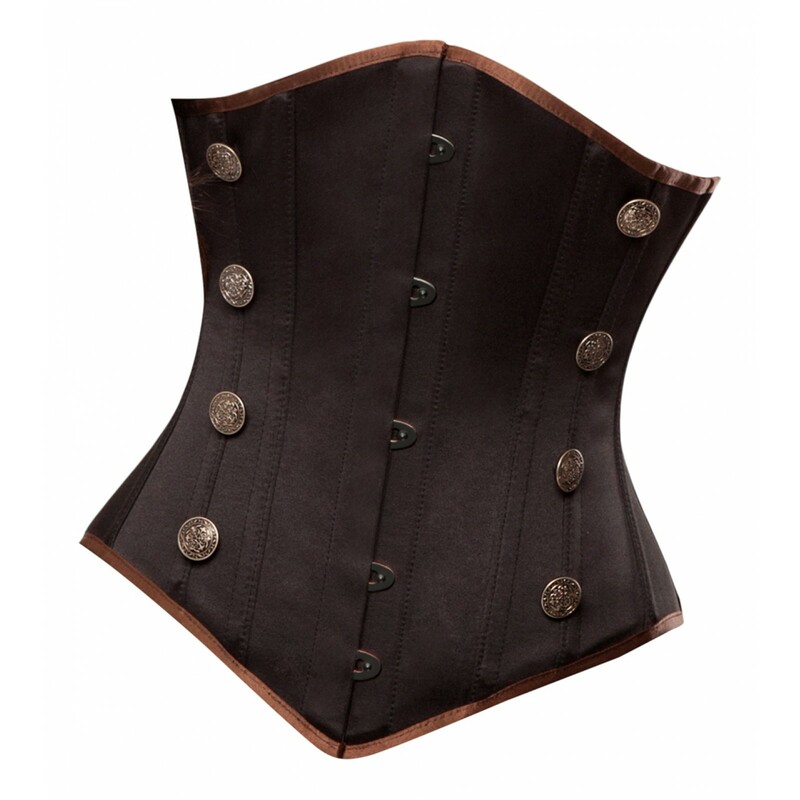 As well as on the lush chocolate brown contrast binding that that is on the top and bottom of the corset and the front panel. The creativity of this corset sets the wearers imagination free. The front panel can be removed to reveal a stunning black busk front closure, which creates a totally unique look. The custom made black duchess satin is the final part of the jigsaw giving a soft matt sheen, which really work with all the other detailing. And in keep with an old world style of doing things, this corset has then been triple bonded to a high thread count 100% cotton twill. Triple bonding increases the strength of the corset, while making sure that the cotton close to the skin is as soft as possible. Orante buttons on the front, 4 each side.